Their plant is to produce 200t/d fireworks paper, our engineer design the reasonable paper making line for them, needed equipment include D Type Hydrapulper, M.C.Pressure Screen, High Density Cleaner, Low Density Cleaner, Fractionating Screen, Reject Separator, Light Impurity Separator, Pulp Agitator, etc. 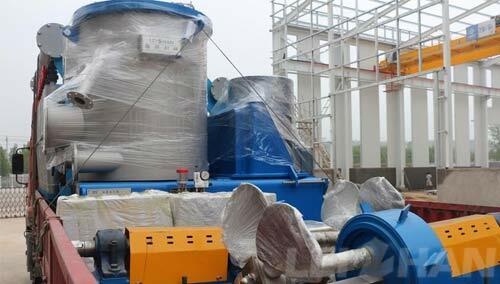 The delivery equipment this time is M.C.Pressure Screen coarse screening, Low Density Cleaner, Pulp Agitator. This is the second time we cooperate with Jinke Paper mill, we appreciate their trust and will do better in paper making industry. If you have same request, feel free to consult us: leizhanchina@gmail.com.